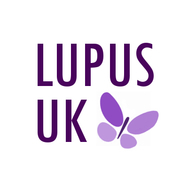 Devon & Cornwall Lupus Group is a Regional Group of LUPUS UK. We hold two main meetings a year, with speakers on subjects related to lupus and allied matters of interest to members. We also have regular Coffee & Chat meetings across both counties and a Christmas lunch. Our events are open to members, family, carers, friends, supporters and anyone interested. We work with health professionals and the public to increase awareness of lupus and its impact on those living with the condition. Devon & Cornwall Lupus Group has strong links with medical schools in Exeter and Plymouth. To raise awareness, we have stands during October (Lupus Awareness Month) at the five main hospitals in both counties. To raise funds, we sell cards and other items designed, made and donated, by members and supporters.